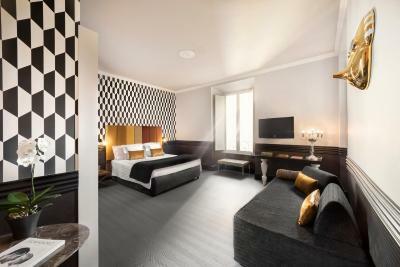 Lock in a great price for Hotel Palazzo Manfredi – Relais & Chateaux - rated 8.8 by recent guests. I lived in Palm Suit which is very spacious and stylish. The furnitures are amazing. Bed are comfortable. Soft drink in mini bar is free. The hotel is wonderful. Very comfort, clean, great location, very good staff and the restaurant is indeed the best thing. Breakfast is amazing as well as the view. We stayed in a beautiful and fully automatic suite. 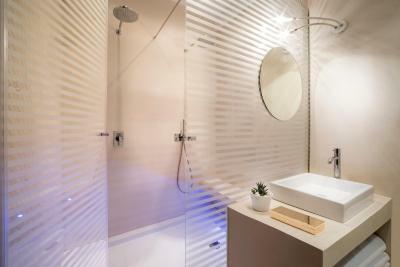 The amenities were acqua di parma, amazing brand. The air conditioning of the bedroom and the exhaust fan of the bathroom were so quiet, one can’t tell when they were on - outstanding! The hotel is located in front of the Coleseum, impossible to be better. We had dinner ate the one michelin star Aroma restaurant at the rooftop, amazing. Complimentary water (best brands) and champagne was noticed too. The cleaning, also impressive - very very clean. Impecable decoration taste. All great in general. We stayed this hotel for the last day of our Rome trip. We are glad we did because the hotel is superb! The Colosseum is right in front of our bedroom so we can watch the colour changing of the Colosseum day and night. The room is clean and huge, has living area, dinner area, full kitchen. We also had a nice dinner at Aroma which is on top of the hotel. 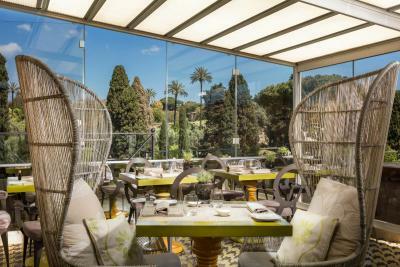 Again, the view at the restaurant is amazing! The Colosseum is more beautiful at night time. The staff from the hotel are very friendly and helpful and professional. 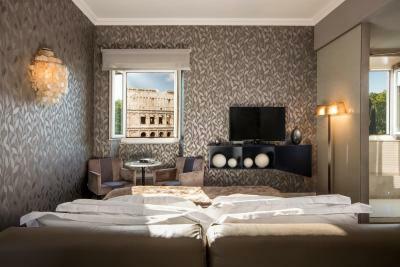 The day we spent in this hotel is definitely the highlight of our Rome trip! 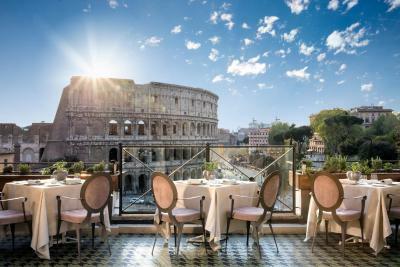 Admire an outstanding view of the Coliseum over breakfast at the rooftop terrace at Hotel Palazzo Manfredi. 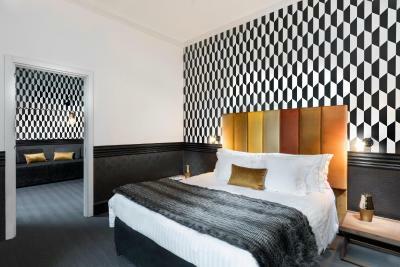 Rooms here are spacious and offer free Wi-Fi and Sky TV. 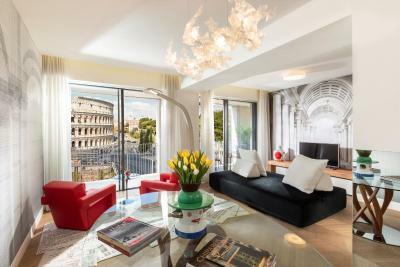 With such a central location, a 2-minute walk from Colosseo Metro Station, getting around Rome is easy. 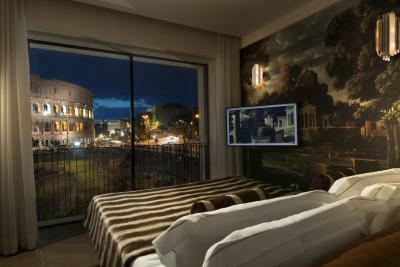 Each room has a view of the ancient ruins along the Roman Forum. 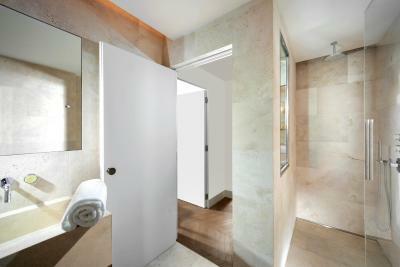 Other room amenities include a bathrobe and slippers, as well as a minibar and pay-per-view channels. 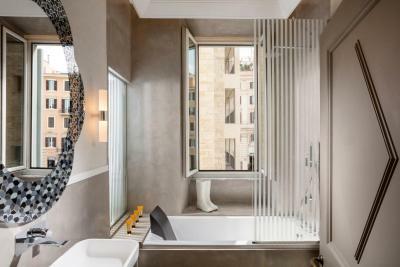 Palazzo Manfredi also offers a self-catering option. 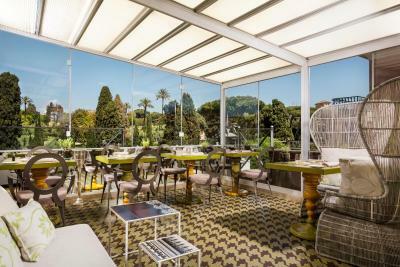 The apartments are located in the same historic area of Rome and feature living rooms and full kitchens. 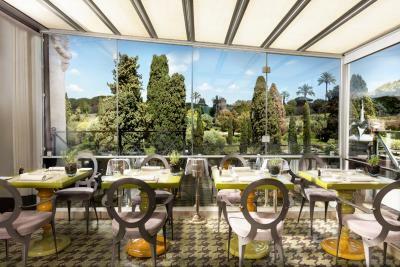 Cocktails and light snacks can also be served out on the terrace. 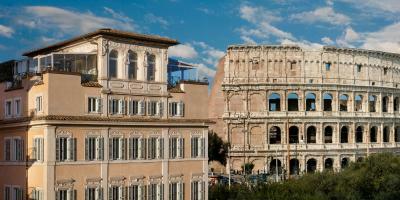 If you really want to see Rome in style, you can rent a Lamborghini sports car from reception. 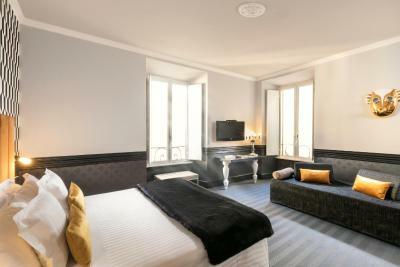 Hotel Palazzo Manfredi – Relais & Chateaux has been welcoming Booking.com guests since 22 Sept 2009. 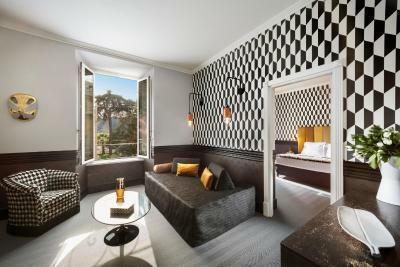 When would you like to stay at Hotel Palazzo Manfredi – Relais & Chateaux? Offers LCD TV and a stereo. Private parking is possible at a location nearby (reservation is not needed) and costs EUR 60 per day. 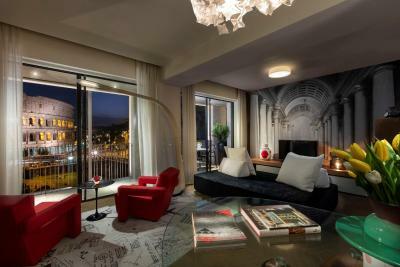 Featuring furniture made by contemporary artists and Bang & Olufsen appliances, this room offers a view on the Coliseum. 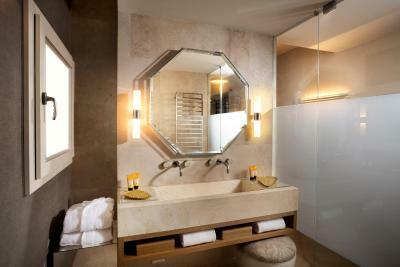 It also comes with a flat-screen LCD TV with Sky channels, a fireplace and Nespresso coffee machine. WiFi is free. 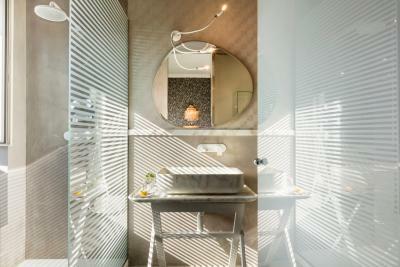 The private bathroom offers free Battistoni toiletries, bathrobes and slippers. 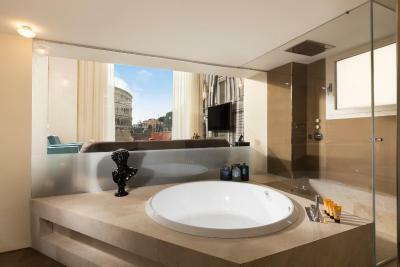 Spacious suite with extra-large bed, separate lounge, fireplace, Nespresso machine, and Coliseum view. 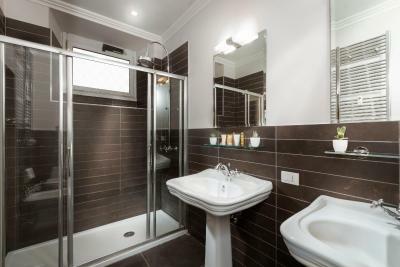 Consists of 2 interconnecting rooms. 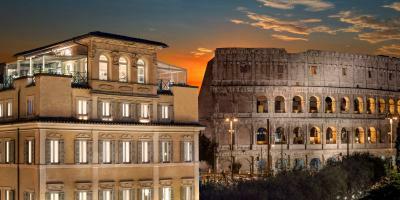 Located in an annex building set in Via Marco Aurelio, 5 minutes' walk from the hotel. Includes 2 bathrooms. 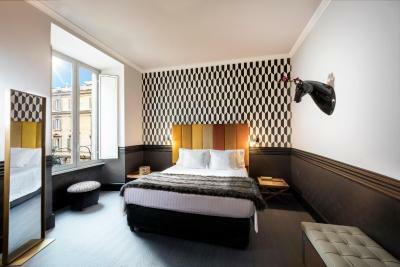 Located in an annex building in Via Marco Aurelio, 5 minutes' walk from the hotel. 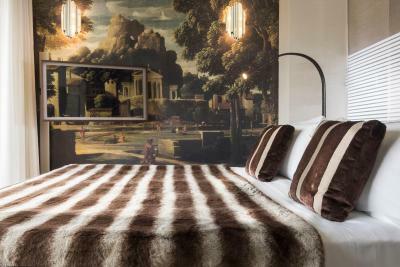 Fetauring views of Colle Oppio and the Domus Aurea, this elegant room comes with fine fabrics and parquet floors, as well as designer furniture. 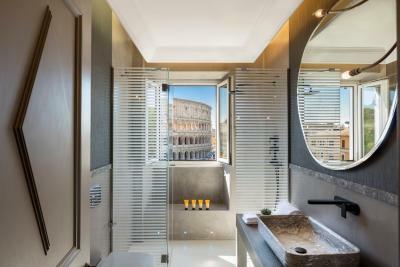 Overlooking the Colosseum, this elegant suite boasts a mini gym and wellness area with a hot tub, Turkish bath and chromotherapy lighting. 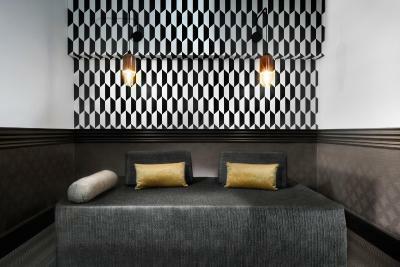 Decorated in velvet and leather, the suite has a separate lounge and bedroom, with parquet and Japanese tatami floors. 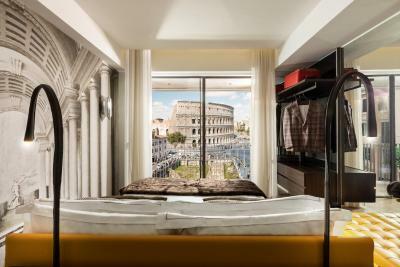 This spacious suite overlooks the Colosseum. 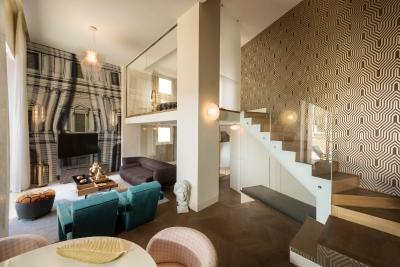 It features a separate living area with elegant furnishings. 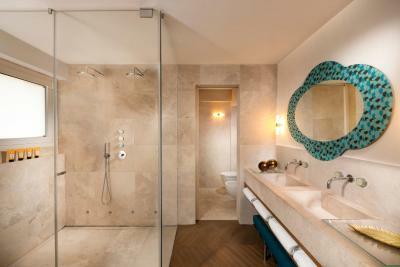 The large en suite bathroom includes bathrobes, slippers and a hairdryer. 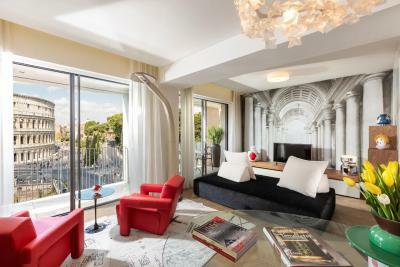 This suite has a balcony, air conditioning and satellite TV. 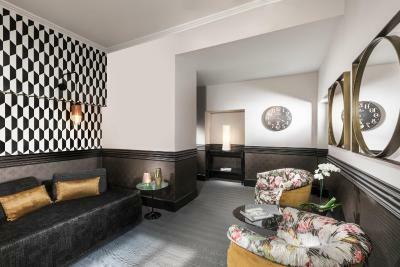 This apartment features a seating area, minibar and bathrobe. 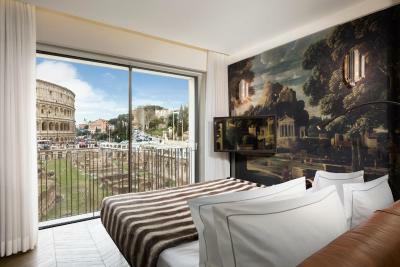 Hotel surroundings – This neighbourhood is a great choice for travellers interested in Roman ruins, food and sightseeing – Check location Excellent location - show map Guests loved walking around the neighbourhood! 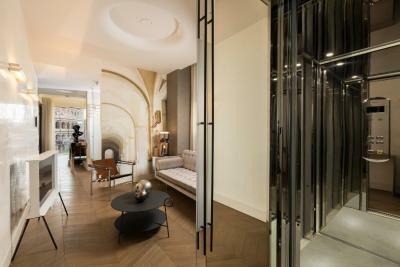 House rules Hotel Palazzo Manfredi – Relais & Chateaux takes special requests - add in the next step! 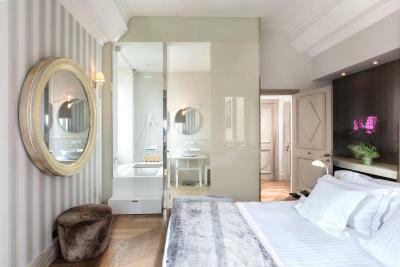 One child from 3 to 8 years is charged EUR 35 per person per night in an extra bed. 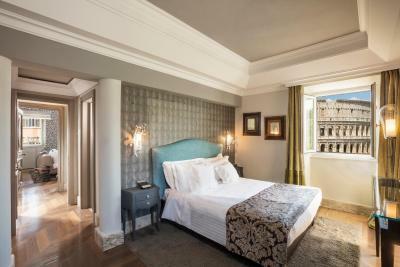 Hotel Palazzo Manfredi – Relais &amp; Chateaux accepts these cards and reserves the right to temporarily hold an amount prior to arrival. Hotel Palazzo Manfredi – Relais & Chateaux accepts these cards and reserves the right to temporarily hold an amount prior to arrival. In case of early departure the total amount of the original booked stay will be charged as a penalty. 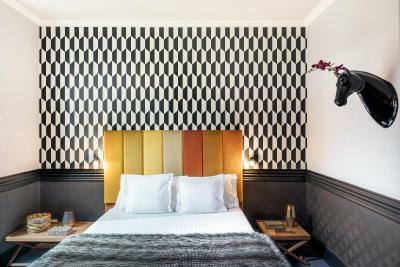 When booking more than 3 rooms, please note that different conditions may apply. The restaurant was pricey though highly rated. The view from the included breakfast helped make up for that. Not much negative to say about this place. 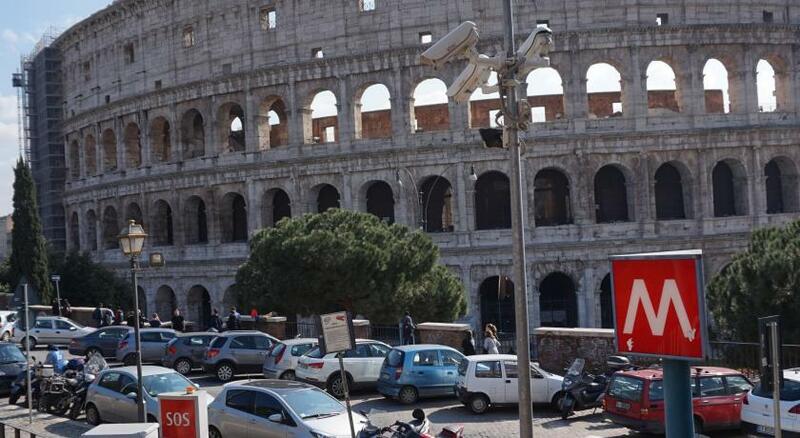 The location was wonderful if you want to be near the Colosseum. The view from breakfast was amazing. We stayed in an apartment a short walk from the hotel. The hotel staff walked us there and helped with luggage. The apartment was beautifully decorated. The complimentary water and coffee was a plus. The sofa is not very comfortable, but is stylish. It is a very safe location inside multiple gates and doors. 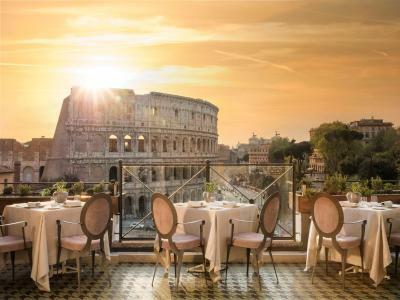 The restaurant on top of the hotel has an unforgettable view of the Roman Colosseum. Breakfast was included in our package. Dinner, on the other hand, was off-the-charts expensive and nice. It's best to take a look at the menu before committing to a five-star meal and a close-your-eyes bill. I didn’t like the location, the hotel, the staff, the lack of access being that we have a stroller. They don’t offer food, the food options in the room were bad. The room has no curtains to all windows so the room was not dark enough (actually it was to light). Breakfast was poor and repetitive (same 1 type of salami, prosciuto, cheese, salmon, omelett, cherry, mozzarella all mornings). The toilet is very small. The staffs are all in the main building so it took a long time for them to come to the flat if you need them. Lack of high chairs in Aroma if i have to pick one. But I wasn’t very lucky. I’ve booked for one night, Christmas eve. I was with my mom and we decided to stay in the room cause it was lovely, to watch the Christmas mass in the Vatican, on a cozy way, instead of going to Piazza San Pietro which was crowded and it was also very cold. The TV was not working as well as the wifi. A very kind staff came up to try to help us but our Christmas eve ended up in a hotel room with the hotel staff trying to fix the TV and wifi connection. 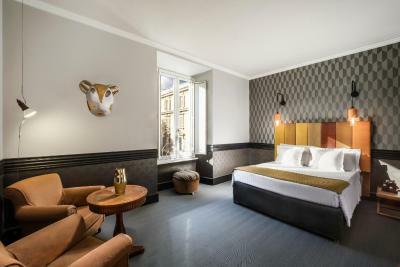 So it was very disappointing because there is a Mercure hotel right next door, where everything works and it’s also cheaper. 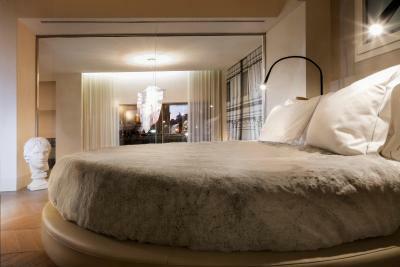 I’ve chosen Palazzo Manfredi because I thought everything would be perfect there to spend Christmas with my mom. But unfortunately, it was not. We dress casual. We felt looked at from head to toes upon arrival, until all staff met us. We’re very used to travelling to the best hotels in the world and it was the first time we experienced that. If there is somekind of dressing code to the hotel, we weren’t aware of. And if it wasn’t that, there was still some discomfort. However, we must say the staff was very polite, formal and attentious at all times. 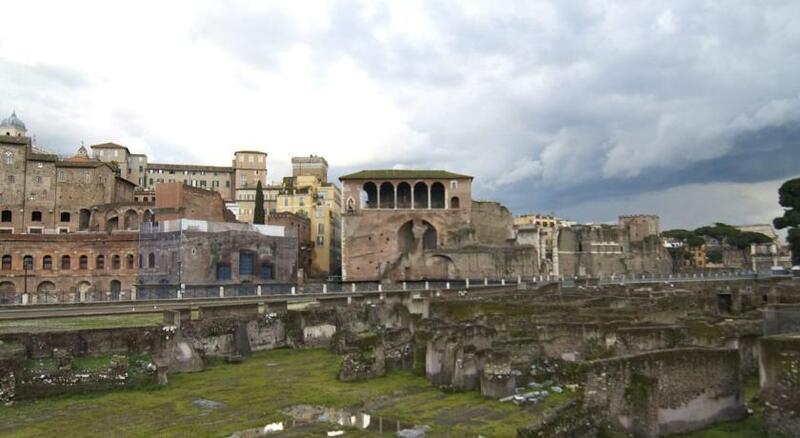 We booked two private guided tours through the concierge, one was great, but the one to the Coleseum went very wrong. Instead of entering with time scheduled, we ended up in a 1 hour queue, and we lost the opportunity to do the Palatine after because it was too late. The elevator of the suites needs fixing, too slow. 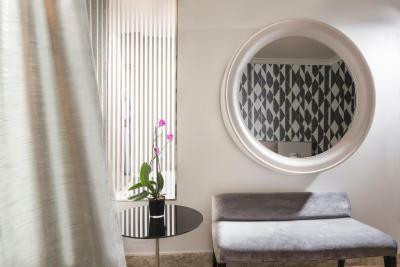 And twice we were sleeping and the staff entered the room, as the elevator arrives at the living room of the suite, so we were’t sure of how to comunicate the usual “don’t disturb” sign. Also upon arrival, we were led to the rooftop to get information about new year’s dinner - we stayed 30min, asked twice for the menu, but never got it and ended up giving up and going somewhere else. These are details to an amazing hotel, as we gave it 9,2 overall score and would definetly recomend it to friends and family. Elevator in new building is slow and makes strange noises, but not quite to the point of being scary.